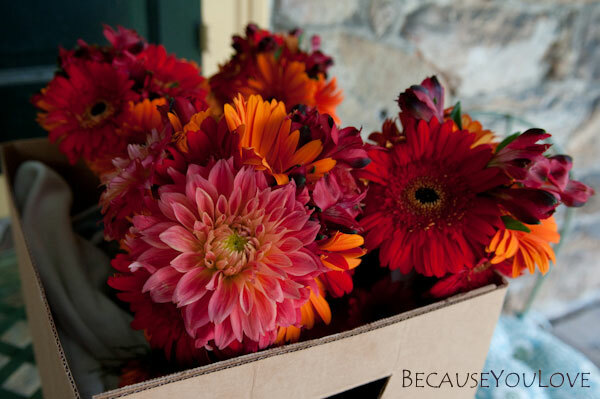 When it comes to flowers, I prefer simple over complex. Bright colors over muted ones. Interesting textures and fresh scents. Which is why I’ve always had a fondness for daisies. Plus they represent love and loyalty — what better flower to carry on our wedding day! And, fortunately, one of my dearest friends has recently developed an interest in floral design. Kristen offered to do our wedding flowers before I even asked her to be a bridesmaid. And, being the amazing woman she is, she was a pro in both roles! I put my full trust in Kristen from the very beginning, and she definitely delivered. 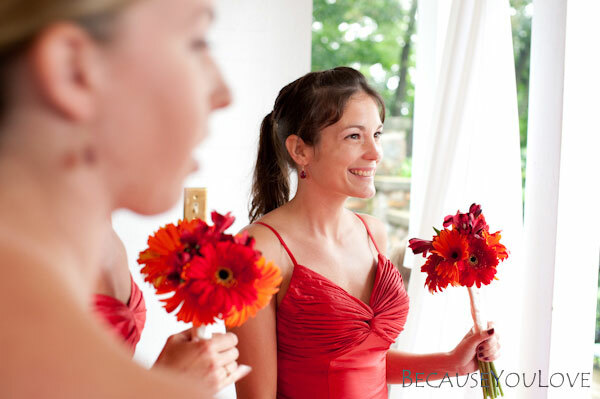 She worked on the bouquets right up until the morning of the wedding, and they were even better than I envisioned. 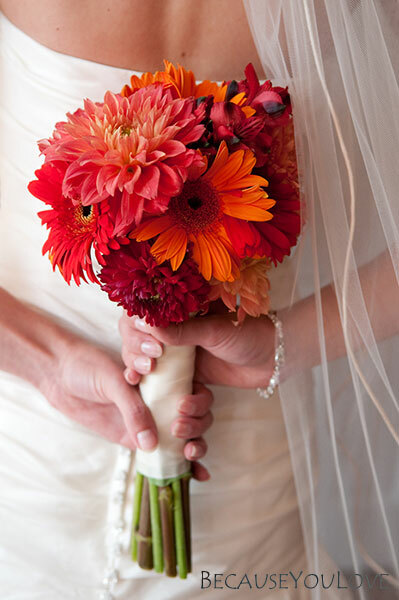 My bouquet had daisies and dahlias in shades of red and orange. It was full and vibrant and perfect. The stems were wrapped in thick ivory ribbon, and she secured a piece of fabric from my grandmother’s wedding dress with a pearl pin. The bridesmaids had smaller versions of my bouquet, and the mothers and grandmothers had even smaller ones. 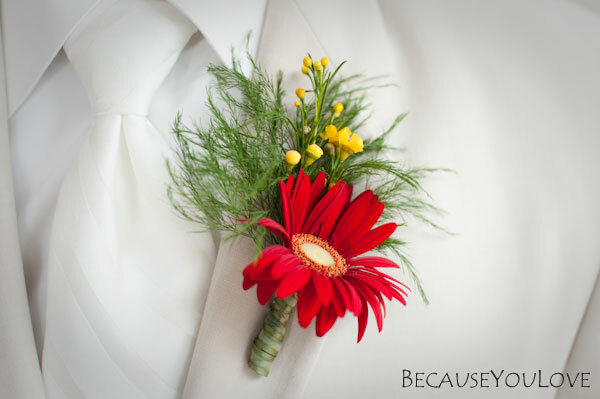 Nick’s and our ring bearer’s boutonnieres had one red daisy, and the groomsmen, fathers, and grandfather had one orange daisy on theirs. 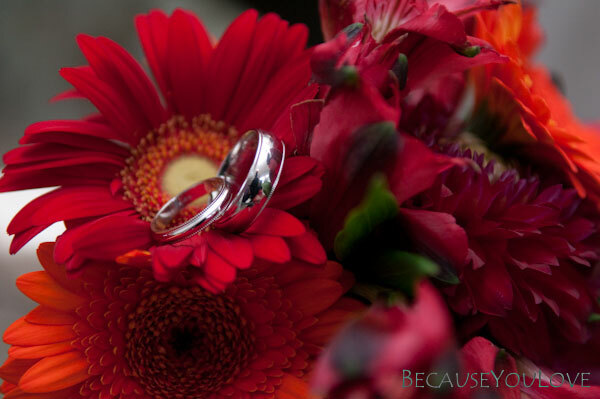 Great shot of our bands in a bouquet! And here she is. The lovely and talented Kristen, florist and best friend. 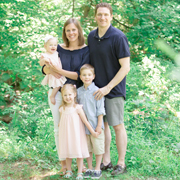 Thanks, dear, for helping to make our wedding day so special! Next: Giving direction to our guests.